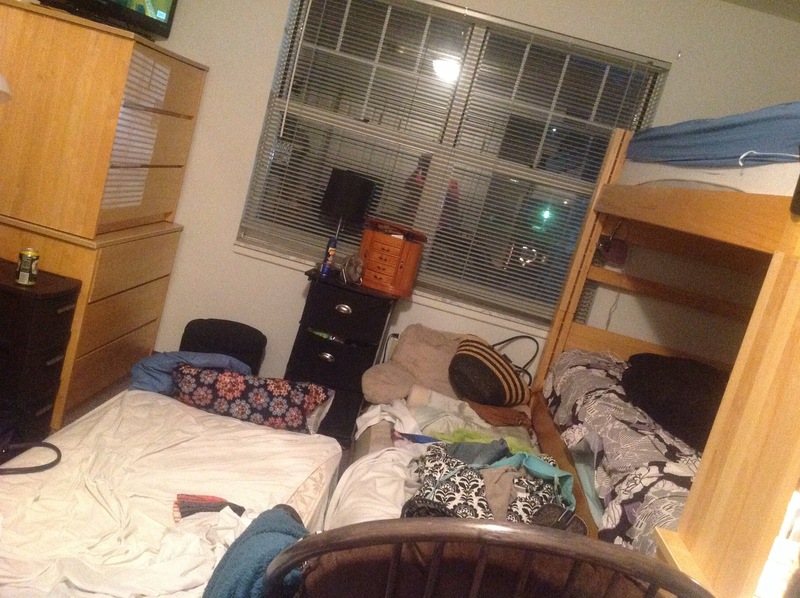 One of my supporters is a Junior in college and she graciously opened up her already tight sleeping space to me for the weekend. The apartment is lovely really, it’s just the bedroom arrangement that’s snug. You see, one of her former roommates is getting married this weekend, so she’s been sleeping over for the first three weeks of school. As much as we’ve been tiptoeing around each other, mostly late at night or in the morning, we’ve had a great time, and I’ve been reminded how much I love community. I spent Saturday connecting with some Asbury and KMBC friends that I hadn’t seen since this summer. I worshipped and had Sunday dinner with my Regional Directors who live about 30 minutes away, and then I got to spend tonight sharing my mission journey with 65 college students at WGM Global Cafe and encouraging them to see what God has already given them to use for partnering in missions. I’m praying for them, that they will discover missions in a new way this year. Tomorrow, I get to speak to Ed majors and I’m praying God will use me once again to show people the joy of serving Him. Living in community with all of these wonderful people has kept me laughing and rejoicing to see how God is moving all around us. And that’s why we need each other. So that we don’t get lost in the sea of humanity, so we don’t lose our humanity in the tyranny of our own pursuits, so that we can pick each other up, hold each other close, and direct our gazes always to Jesus, the Author and Perfecter of our faith. May you find strength, joy, hope, and purpose in the Body this week. 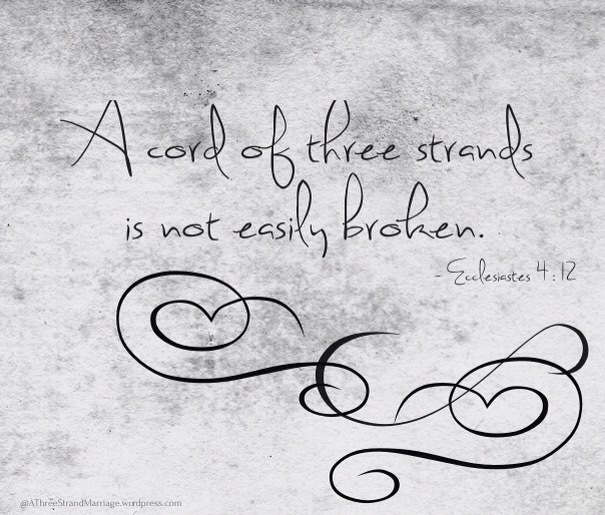 May you walk in the strength of our 3-stranded cord. 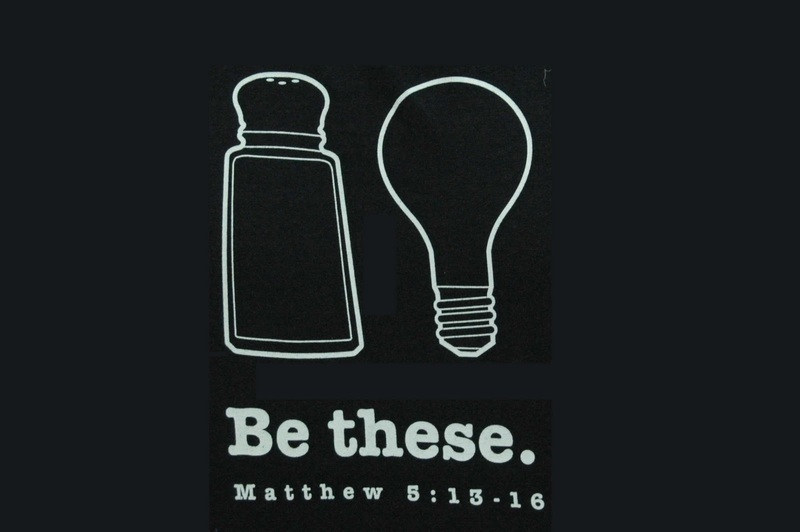 We’ve heard countless sermons on being salt and light, but in today’s individualistic society, I want to pause and reflect on the YOU of these verses. We lose a little of the meaning behind the YOU when we read it in English, because, unless we are visiting loved ones from the south, the second-person plural just doesn’t get used. That’s right- this you is a ya’ll- you ALL. And it makes sense when we think about it. Just how much seasoning and preserving can happen when just one salt grain gets placed on a pound of meat? It’s the collective working of salt that makes it powerful. 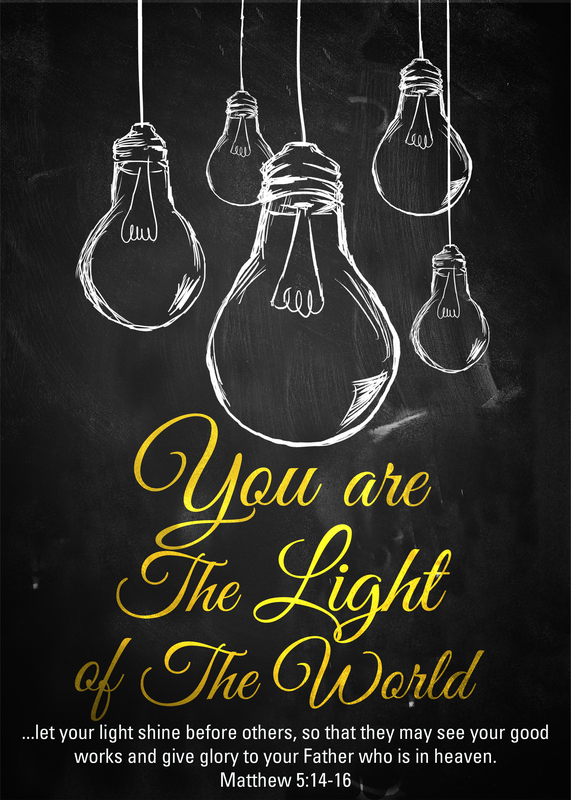 In the same way, Jesus promises that the light spreads to “everyone in the house.” So, it’s the Body of Christ working together to impact the whole world. That’s a lot of fellowship in those verses that doesn’t always get discussed. Partnering with my family- That may seem like a strange way to say it, but we work together to make sure that we all are taken care of. This includes grandparents, aunts, uncles, cousins, parents, and siblings. God’s given me a family where we look out for each other and care for each other. Partnering with World Gospel Mission- I’m part of an organization that believes in meeting a variety of physical needs all over the world, but always with the purpose of revealing the hope we have for the deeper spiritual need within all of us. Not only do we work together, we learn together, growing as close to Christ and as much like Him as we can. We encourage each other, challenge each other, and love each other. Partnering with SCCLC– My school in Bolivia has its unique set of challenges, and sometimes those get overwhelming, but at the end of the day, I’m privileged to work with other men and women who value education and love people. I have friends from a variety of countries and students from all over the world. We get to invest in students who will go farther and do more than we can even imagine, because we believe that God has a special design for each of them. Partnering with my Stateside churches and individuals– As you might know, a major motivation for writing every Sunday is to be intentional about staying connected with my ministry partners in the U.S. This kind of partnership looks different with each one of my relationships. It includes supporting financially, praying fervently, spreading the word about ministry needs, connecting other Jesus loves to our ministry, and so much more. Being a missionary and working with Stateside supporters is one of the most challenging (for me) and beautiful aspects of my life. Challenging because I feel like I never do a good enough job telling you how much God is doing through all of us. Beautiful, because every time I am with you, I come away rejuvenated, excited to dig into ministry again, and blessed to be partnering with ya’ll. Partnering with the Body of Christ- As we join in worship, praise, thanksgiving, and Bible study, people all over the world are doing the same. It’s impossible for us to know how many Jesus lovers there are worldwide, but our lives are joined with theirs in a way that only God fully understands. He designed us as a single community- The Body. As much as I rejoice in these partnerships, I’m also challenged. In what ways can I allow God to make these partnerships be even saltier, give off even more light? Where is He showing me to let go of trying to do it on my own, so that I can work with others as He intended? I’m still processing, so I don’t have the answers yet, but I’m willing to wrestle with it. Please pray with me about what He might show me. And feel free to ask me about what I’m learning about it! What about you? With whom do you partner to make this world a better place? How many of your partnerships are focused on making sure that “better place” involves helping people belong to Christ? How can we pray for God to help you better understand living, loving, and serving Christ within the community? 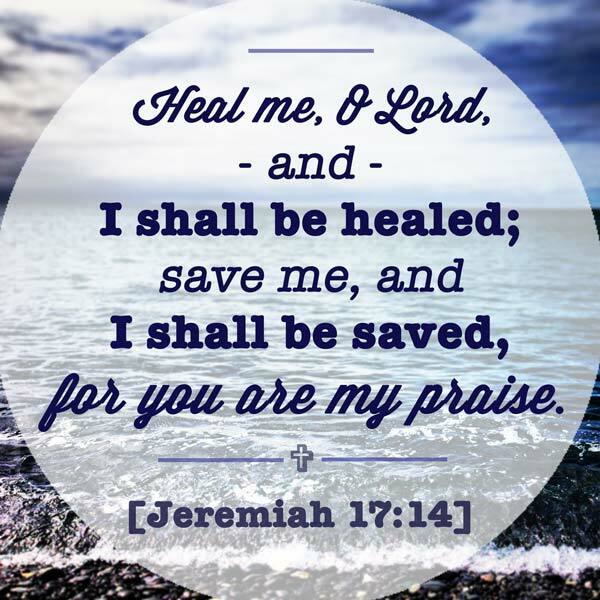 5 And He could do no miracle there except that He laid His hands on a few sick people and healed them. 6 And He wondered at their unbelief. And He was going around the villages teaching. Jesus could have done so much more- He wanted to transform lives. He could’ve opened their blind eyes and given them hearts of flesh to replace their hearts of stone. But, they didn’t believe; and Jesus wondered. I imagine he wonders much the same at our own unbelief. How many times are we content with earthly moments of wonder, when what Christ really wants is to involve us in shaking up eternity? 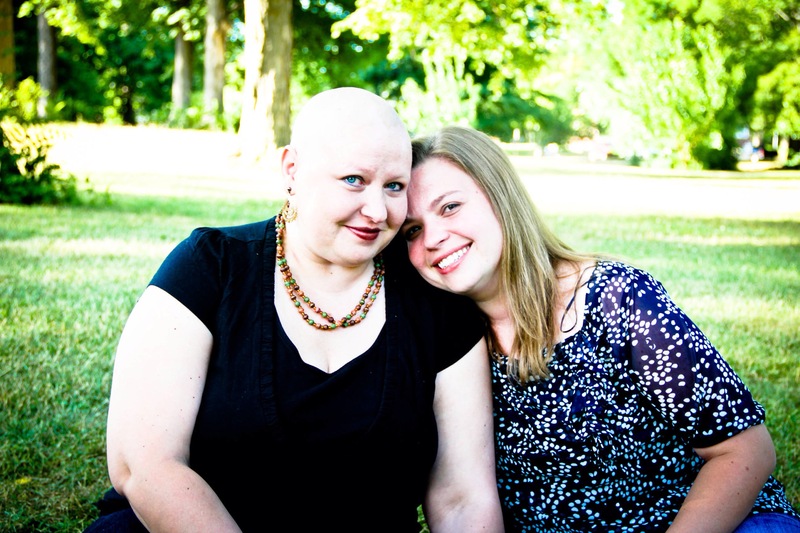 I’m not done praying about mom’s procedure and Kimberly’s cancer journey. I’m still asking Jesus to call their doctors to himself and bring them into a saving relationship with him. I’m asking him to use us in the process. And I’m asking that, somehow, we would be able to know their decisions and rejoice with them when they happen. I’m praying for an eternal shift. Have you ever asked God for something, only to receive an even bigger answer? What are you praying for now? If you want, respond in the comments, so that we can all lift each other’s requests up and rejoice in how Jesus answers our prayers. When we read the story in Mark 10 about the disciples trying to keep the children back from Jesus, His words, “Let the children come” remind us how much Christ values kiddos. I love the story- it fills me with comfort and joy. . . and conviction. Because, while I like to imagine these kids lovingly and QUIETLY cuddling up to Jesus and listening attentively to His words, the reality is that kids have ENERGY and ENTHUSIASM and have a hard time containing them. They have short attention spans and need lessons to be interactive. God, their Creator, knows and cherishes those very qualities. And He teaches me because of them. From July 5th-10th, I was at St. Andrews Anglican Church in Versailles, KY to help with a Creative Arts Camp for kids who had just finished Kindergarten-5th grade. Now, please remember, my passions, strengths, and desires are very strongly rooted in helping teens discover fullness in Christ. So, when all these precious kids came into the church on Monday morning, I was pretty overwhelmed. Each day, I brought theatre experiences and challenges to about twenty Kindergarten-1st grade students by themselves and then two much smaller groups of kids from 2nd grade – 5th grade. After workshopping with these kids in the morning and early afternoon, I went back to my host family and dove into my M.Ed. homework each day. I felt physically drained, but spiritually, even supernaturally, equipped to get everything done. By Friday evening, we had prepared a 5 minute skit I wrote to show parents what we had learned about different Bible characters in our morning Bible time and how we had applied those truths to creating characters and acting in Theatre workshop. Thankfully, God brought us through the whole week and brought SO MANY kids to either a saving relationship or a commitment to go deeper and give Him control of their lives. What a joy to be a witness to His saving grace and wooing Spirit. It makes all the tiredness, frustration, and (at times) troubled heart worth it!! Along with seeing God move in the kids’ hearts and lives, I am also convicted by how powerfully they believe God. In one of our Bible times, we had to choose how we would respond in certain scenarios. As a certain scenario developed, it became even more challenging to be obedient. The leader prompted, “What if God told you to do something really hard and scary? How would you feel? Would you trust or be scared?” A few kids came over to my “Scared” sign to choose that option. Realistically, I belonged there, too, and not just because that was my assigned sign. 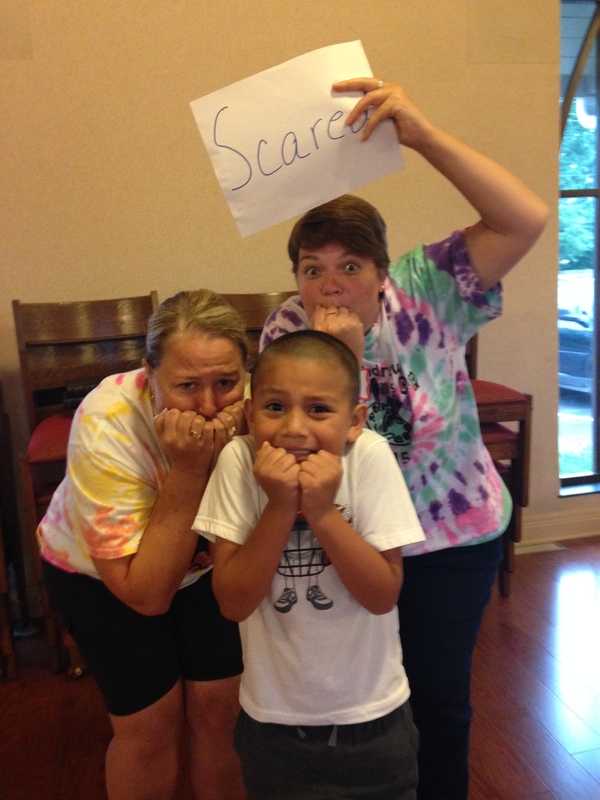 A 5th grade girl over in the “Trust” section called out to us, “Why would you be scared?! God is with you! !” To trust made perfect sense to her- Hearing her words, it made perfect sense to me, too. OFTEN, I will examine all the components of a situation, but instead of better understanding it, those components become temptations for me to doubt God’s sovereignty, love, faithfulness, compassion, goodness, strength, and power. I look at my doubts and wonder how God will work it out, rather than looking to God in eager anticipation. How does God remind you not to fear? How does God use children to teach your own soul about following Him? How can I pray for you this week, especially in trusting the Lord? 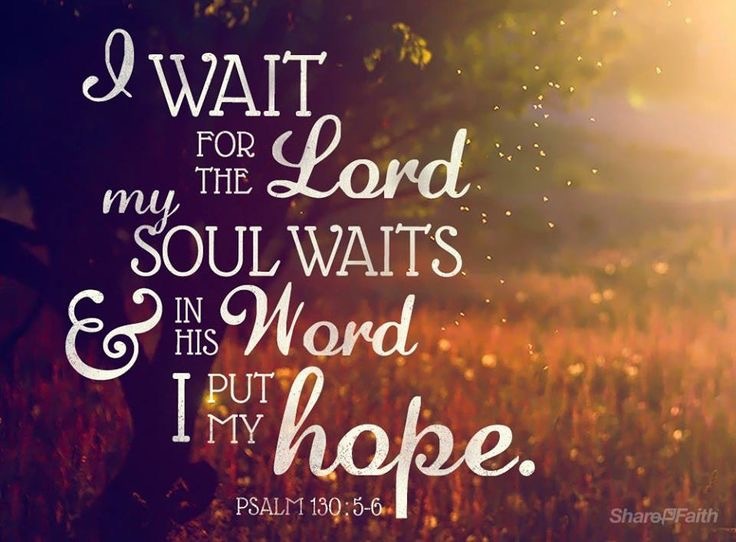 How do you handle when God says, “Wait”? I’m at peace with it; God knows what He’s doing. I get frustrated and discontent. I’m excited! Who knows what God is up to?! I’m scared- who knows what God is up to! Any or ALL of the above, depending on how much I want or think I need a more definite answer. This entire Homeland Ministry Assignment has been a beautiful, sometimes frustrating, transforming season of God’s timing in my life. 14 months ago, I thought I knew how God would meet my needs and get me back to Bolivia. A year ago, I thought I understood how He would do it (since He obviously hadn’t done what I previously thought). With interspersed surprises followed by long spells of nothing really changing, at 6 months ago, I started praying specifically that God would move, opening and closing opportunities so clearly that we’d see Him working, so that none of us would have any doubt in His timing for me to get back to Bolivia. I knew God was keeping me in the U.S. to teach me more about becoming an administrator, to use me as His tool for others to know and love Him more, to connect with others who need to know how much God uses them in His ministry in Bolivia and in my life. 3 years ago, my sister was battling breast cancer. At the end of June, she started the fight again. It’s not metastasis of her previous cancer, and we are so thankful! But, it’s aggressive and Triple Negative, and the struggle is real. God knew the whole time I was restless and ready to get back to Bolivia, He knew the whole time that we, as a family, were soaking up every minute of being together, He knew every time I had no clue what He was doing, He knew I would need to be in the U.S. longer than any of us planned. So, even though, financially, I’m only about $100 in monthly pledges away from being able to return, and academically, I’ll finish my Master’s in Educational Leadership in the middle of October, I’m going to stay in the U.S. until after Christmas, looking to put my feet back on Bolivian soil around January 3-4, 2016. I’m thankful because God’s given me freedom to stay and take care of my family, and they can take care of me, in this hard time. I’m thankful because I get to see some of you in Kentucky at Asbury University on August 28-31, when I speak to students at Global Cafe on Sunday night and, hopefully, find a time to meet with education majors on Friday or Monday. I’m thankful because I will attend a biblical counseling conference in October, to become better equipped to offer counsel and hope to those who are struggling with issues like sexuality, gender, relationships, and other areas of pain and brokenness in our world. I’m thankful because I know God will use this time for His good purposes, and I can’t wait to see How he lets me be a part of it. How do you respond when God says, “Wait”?